Until recently, I was working in a program preparing Saudi Naval Cadets to study in a course of academic instruction in English. While my doctorate is in law, I have an extensive history of both teaching learners of English as a second language and training future teachers. During over twelve years of teaching, I’ve had an opportunity to work with students from all across Asia. I’ve worked in every possible situation from having the most advance smart boards, to nothing but a piece of chalk and a blackboard. I have not only taught aspiring teachers, but participated in curriculum development at several universities. I’ve also designed and taught ESP programs for professionals, including preparing an English program for the Lao National Law School. In 2010 I was a State Department English Language Fellow where I coordinated Government efforts at high schools and Universities around Laos to improve language teaching. Prior to teaching ESL, I served in the United States Air Force, and at the Department of Treasury, advising on large procurements of computer software and related services. In my capacity as legal counsel, I provided advice to people from a myriad of backgrounds on many different legal questions. My duties included representing the Government in court and at administrative hearings where I had to explain a wide variety of issues in a persuasive manner. My success depended on my ability to communicate effectively both in writing and in person. I have been a trial attorney for more than 20 years. I have given appellate argument before state and Federal Courts. As a military attorney I required to regularly give briefings and public service talks. 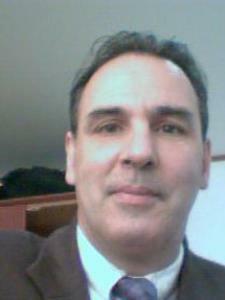 I have over 15 years of experience teaching English as a second language overseas. During that time, many of my students were preparing to take the IELTS to study abroad. I worked one on one with students taking practice test and work out strategies to improve test score. I have experience in explaining the different formats used on the test. In 2010 I was a State Department English Language Fellow where I coordinated Government efforts at high schools and Universities around Laos to improve language teaching.